My name is Adina and I live in Virginia, USA. I spent my childhood in a beautiful small town on the coast of the Black sea in Russia. Our house was surrounded by gardens with flowers and fruit trees and forests. For me as a child there was nothing better than to quietly sit in a cozy corner of our garden and work on a craft project. I was interested in anything handmade, anything I could make myself. I got introduced to knitting at age 5 by my mother, and later I learned to crochet using crocheting magazines from the school library. I think that my love for everything natural and organic took its root there, in my childhood. This has become a great influence on my life. My other biggest passion has always been reading. Now I am 34 years old and happily married. I have 4 sons and a baby daughter. My little princess inspired me to open my store. 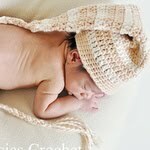 I sell various knit and crocheted baby items mostly made from organic yarn. I strive to create unique and unusual items made from organic materials for my children and I would love to share them with you through my store. 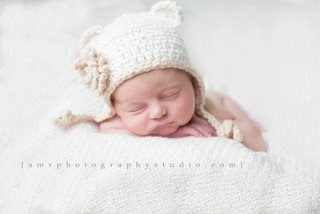 In my store you will find photo props and various hats and beanies for babies, toddlers and older kids. My store also carries some Bath and Beauty items. I am also working on patterns for my items. 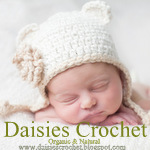 I think many mothers and grandmothers will gladly use my patterns to make something for their little ones. Every baby hat and even the smallest flower are saturated with my love for children. I am very happy to see happy children and their mothers satisfied with their purchases. I am very thankful to all my customers who leave comments about my work and especially to those who send me photos of their kids wearing my items. This is the best prize and such an inspiration for me. Congrats with your 1st article! Wish you inspiration and success! Congrats! 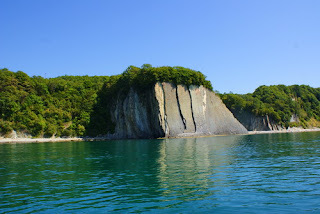 Good luck in blogging! Thank u very much, Ladies and Welcome!!! What a wonderful story! Five kids - you have a fantastic family! And of course your creations are lovely. I will browse your patterns - I bought a lot of yarn and need ideas (unfortunately I can neither knit nor crochet and have to ask someone else).